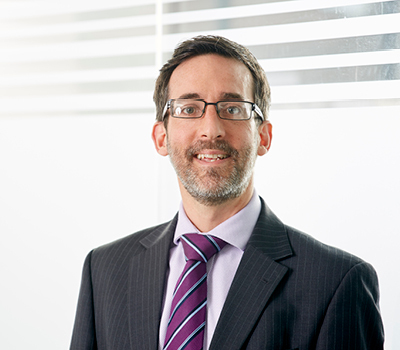 As a commercial property lawyer with over 20 years’ experience, Adrian regularly advises clients on landlord and tenant transactions, corporate support work and advising commercial lenders. Adrian is a key member of our Banking and Finance team and regularly assists a number of national financial institutions – not only in securing changes over commercial land and buildings – but in the carrying out of reviews of existing, secured property portfolios. "We chose to instruct Adrian due to his professional, efficient and friendly manner. Adrian always kept us fully informed and we received sound commercial property advice, taking the stress out of the process." "Just wanted to thank you for all of your help and assistance in this. We were more than happy with the fees and paid them with pleasure! Wish all legals were as easy to deal with as yourself." "The potential minefield of completing a business purchase, became a very smooth process, with no stone left unturned. Both Adrian and Grace were extremely attentive and always on hand to communicate, acting on direction when I needed them most." "I must congratulate you and Yasmin and anyone else involved in helping this transaction reach conclusion on target – great effort." "You have been fantastic from the minute we instructed you until completion yesterday, thank you for your helping guide us through this sale. We will be using you for any other matters from now onwards." "Adrian has acted for Heron on and off for over 10 years, he is professional and thorough but commercial minded enough to get transactions over the line which is critical in today's market." "Adrian guided us throughout the complexities of our property transaction in an efficient way, explaining the issues clearly and offering us commercial, professional advice."